2017 was an exceptionally busy year for ORBCOMM, with new clients, projects, products and acquisitions combining to further strengthen our position as the most comprehensive global provider of Industrial Internet of Things (IIoT) solutions. In November, ORBCOMM surpassed two million industrial IoT subscribers spanning the transportation & distribution, heavy equipment, maritime, oil and gas and government sectors. This is a significant milestone that reflects both the overall global growth in IoT adoption and ORBCOMM’s expanded market penetration in industrial IoT. It also reflects ORBCOMM’s widening geographical reach (for example, in July, we teamed up with MCN to offer IsatData Pro (IDP) service in China). From connecting transportation, construction and maritime assets, to providing IoT connectivity for everything from smart grids to smart footwear, ORBCOMM saw growth from both traditional and emerging markets last year. A major transportation industry development for 2017 was our move into in-vehicle telematics with the acquisition of inthinc in June and Blue Tree Systems in October. Both companies bring industry leading fleet management technology and expertise in in-cab telematics, cloud and mobile apps, data management, and advanced analytics for global truck and driver performance, safety and compliance. That includes the new ELD Mandate regulations from the US Federal Motor Carrier Safety Administration, which from this December requires companies to replace drivers’ paper log-books with electronic ‘Hours of Service’ apps. ORBCOMM’s Blue Tree technology is regarded as the most advanced and user friendly ELD/HOS solution on the market for medium to large sized fleets. Road transport remains the lynchpin of the global freight economy. Whether it’s single mode, intermodal or multimodal, just about every freight move in the world begins and ends on the road – and that means a truck cab and a driver. Adding in-cab telematics solutions to the ORBCOMM IoT portfolio allows us to serve transportation companies with integrated solutions to manage their entire mobile fleet assets under a single platform – from truck motor units to dry and refrigerated trailers and refrigerated straights, to refrigerated, dry and tank containers, chassis, gensets and other intermodal equipment. A landmark mixed-mode project in 2017 was JB Hunt’s implementation of our technology to track and monitor over 90,000 of its 53ft US domestic intermodal and OTR trailer assets. The project involved custom development of our solar-rechargeable GPS tracking device including full-length internal sensor to detect the presence or absence of cargo, to aid speedy turnaround of assets for maximum utilization and detection of tampering or theft. 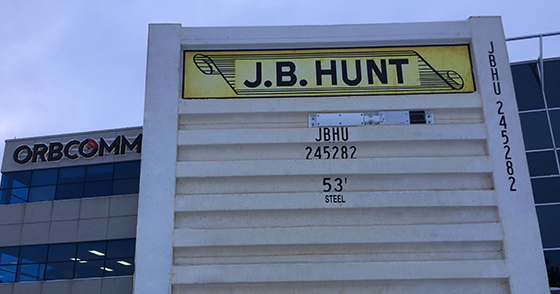 JB Hunt is also feeding data from our technology into its 360 Shipper platform to give customers better supply chain visibility into in-transit shipment status. J.B. Hunt selected ORBCOMM to equip its 90,000-plus intermodal and over-the-road (OTR) trailing fleets with end-to-end tracking and monitoring. 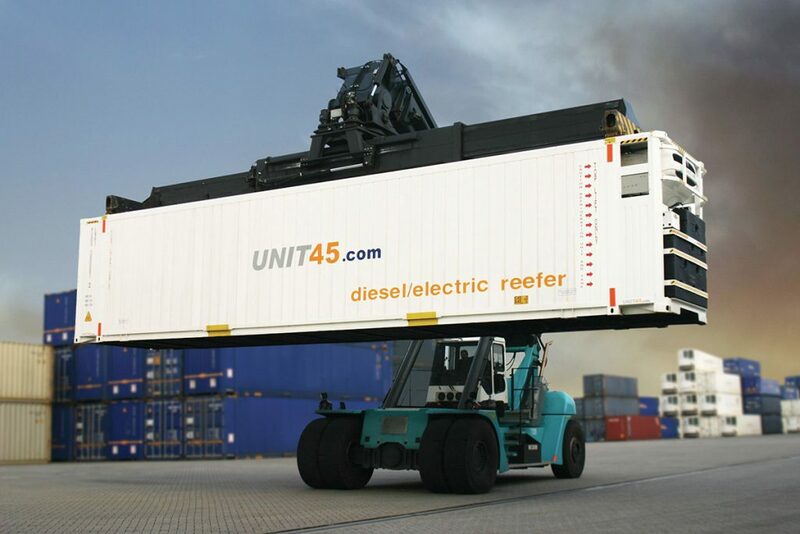 In late September, we announced that UNIT45 B.V had selected ORBCOMM to provide our telematics solution and cloud platform for remote monitoring and control of 45ft temperature-controlled containers operating on the long-haul New Silk Road rail routes linking China and Europe. Then, in early October, we confirmed that TOTE Maritime Alaska had selected ORBCOMM to provide telematics solutions to monitor and control its refrigerated and dry intermodal and over-the-road assets, including containers, trailers and flatbeds. This is the second project for TOTE Maritime, following the TOTE Maritime Puerto Rico reefer management system deployment earlier this year. 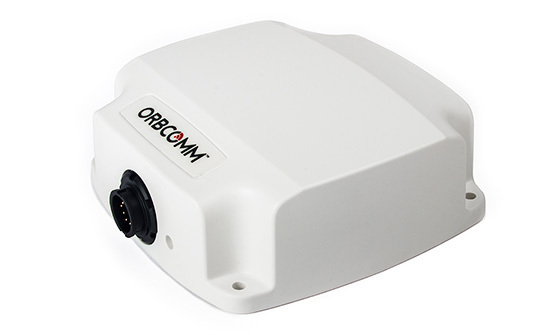 ORBCOMM’s VesselConnect system, launched late May, allows shipping lines to monitor and control smart containers and their cargo on-board ships, closing the traceability gap at sea. 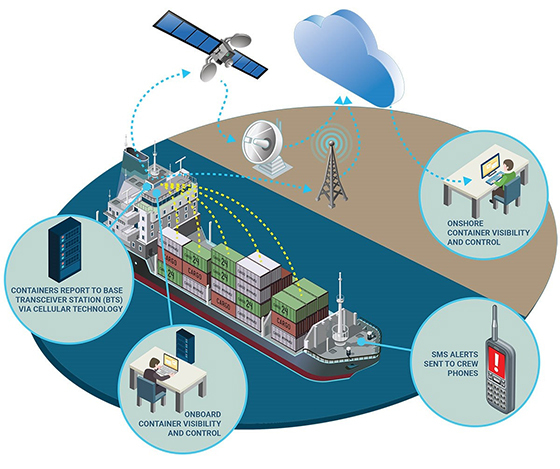 The system integrates Vobal Technologies’ CargoGSMTM network with ORBCOMM software to give ocean carriers a cost-effective way to monitor and control smart containers loaded above and below deck. Following early adoption of the system by TOTE Maritime Puerto Rico, TOTE Maritime Alaska is now installing VesselConnect on its fleet of roll-on/roll-off (ro-ro) vessels. This is the first known deployment of a GSM on-board asset tracking solution on ro-ro ships. New vessel GSM technology enables end-to-end visibility of refrigerated containers transporting temperature-sensitive, high-value cargo at sea. In March, we partnered with Pole Star and Weatherdock to launch Hali, a Tri-Mode Class B vessel tracking solution for small craft. Hali combines terrestrial and satellite Automatic Identification System (AIS) capability with two-way satellite M2M technology to ensure reliable 24/7/365 location data for the myriad small vessels that ply the waters worldwide, giving fleet owners and operators, maritime authorities and enforcement agencies the visibility and information they need to ensure safety, security and compliance. In 2017, ORBCOMM reaffirmed its position as the industry’s preferred provider of satellite AIS data, with several wins in both the commercial and government sectors (ie. Government of Canada and Australian Maritime Safety Authority). 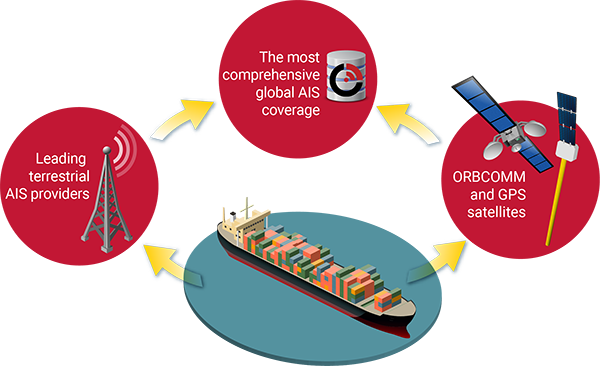 ORBCOMM AIS combines multiple data sources for maximum coverage. Our recent article, IoT at sea will revolutionise global supply chains explores the convergence of AIS, IoT and other advanced technologies to transform cargo operations at sea, with additional benefits for ports and the broader supply chain. In August, we launched the PT 6000, our next generation cold chain monitoring solution. The PT-6000 is part of a comprehensive solution that includes sensors, connectivity and the CargoWatch® cloud and mobile application, enabling complete visibility and control of operations to ensure the integrity and compliance of temperature-controlled cargo as it moves along the supply chain. At the 9th Cool Logistics Global conference in September, ORBCOMM customer Maersk Line and its BCO customers detailed how they are advancing their use of live data from smart reefers to enable full supply chain visibility, tackle waste and gain operational efficiency. Our September 2017 article in Food Logistics journal looked at how next generation technology will allow multiple cold chain participants, such as shippers, 3PLs, carriers, ports, DCs, intermodal operators and hauliers, to operate in a single IoT ecosystem. 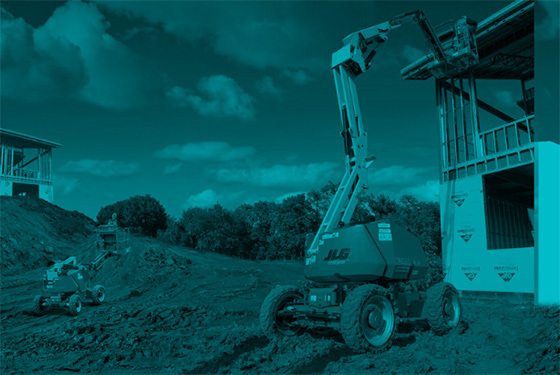 This July saw the news that JLG Industries selected ORBCOMM to provide an end-to-end telematics solution platform for its global fleet of aerial work platforms and telehandlers. ORBCOMM’s solution provides global wireless connectivity along with state-of-the-art hardware, and web and mobile platforms for complete asset management. JLG adds their name to the growing list of global OEMs that trust ORBCOMM for leading heavy equipment telematics, including Caterpillar, Komatsu, Doosan, Volvo, Hitachi, John Deere, Terex and others. In March, we announced additional features and functions to enhance our FleetEdge web platform and ruggedized asset tracking device for heavy equipment monitoring. FleetEdge is the first of our cloud portals to be able to retrieve data directly from our DeviceCloud, making it completely device-agnostic. Also in 2017, ORBCOMM received the 2017 IoT Innovations Award from Connected World magazine for our turn-key AssetWatch™ Mining platform. 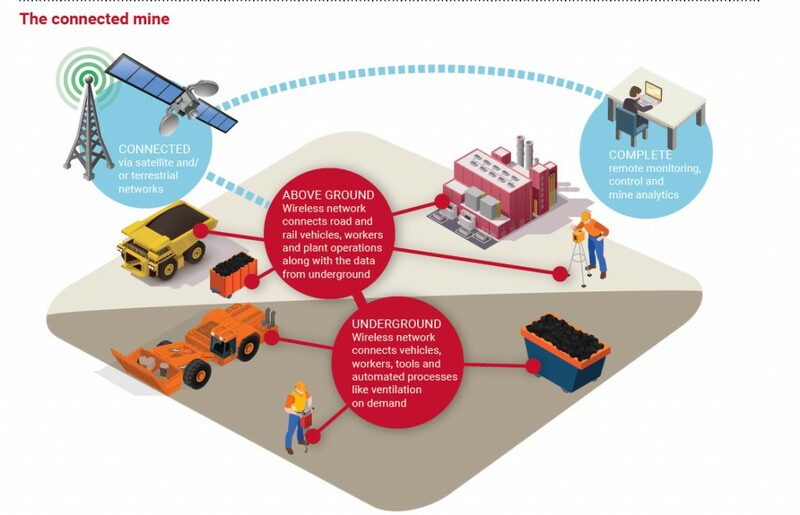 By combining Real-Time Location Systems (RTLS), condition monitoring sensors, mobile devices and analytics, AssetWatch Mining offers mission-critical asset visibility for above or below ground mining operations. Heading into 2018, ORBCOMM is leading the conversation around how richer heavy equipment analytics can provide meaning to big data, enabling next-level visibility for heavy equipment owners, operators and OEMs. In 2017, ORBCOMM supported our value-added reseller channel in developing increasingly sophisticated IoT solutions that deliver the right data at the right time for end users across diverse markets including transportation, maritime, utilities, oil & gas, fixed equipment, government and more. With all the buzz around the IoT, ORBCOMM continued to stand out from the crowd with our complete IoT Toolkit offering, making IoT solution development easy and ensuring a well-supported, functional implementation for solution providers and system integrators. Last year also saw significant improvements to our award-winning line of IoT devices, culminating with the launch of the ST 6100: the first in a series of new programmable satellite terminals by ORBCOMM that builds on the technical foundation of our award-winning IsatData Pro terminals. The ST 6100 features a built-in accelerometer, expanded memory capacity, and support for additional navigation systems. As explored in our editorial for Logistics Tech magazine, the next generation of IIoT platforms now being pioneered by ORBCOMM and others will allow multiple ecosystem participants, devices and IoT technologies to co-exist, including an expanding array of sensors. Over the coming few years, digitalisation, automation and other smart technologies will transform just about every business on the planet as part of the Fourth Industrial Revolution. Connected, visible assets are a critical piece of the equation, helping users remotely track and control not just equipment, but equally operational flows, across the globe in real-time and generating huge amounts of data to power advanced analytics that can catapult businesses into a new era. At ORBCOMM, we will continue to take the lead in developing next-level IIoT devices, applications and analytics to support our clients in the journey to the future. We look forward to working with you in 2018 and beyond. To learn more about the latest innovations in industrial IoT, be sure to subscribe to the ORBCOMM blog and to consult our Knowledge Centre for new case studies, white papers, webinars and more. Quite a year! Congrats and cheers to many more.